I think everyone likes the look of vintage bikes. The thought of gliding along a canal-side encapsulated in a bubble of whimsy on a balmy summer’s eve is what makes these gentle steel giants so evocative. The reality, unfortunately, can be more a never-ending oily maintenance battle with a creaking, crunching old rattler which pops your back out every time you have to lug it up the station steps. This is where manufacturers like Creme come in: bike builders who strive to take us back to that simpler epoch of joyful, carefree bicycling but with just a big enough dash of modern seasoning thrown in to save your trouser legs from oil marks and your back from traction. This sprinkling of modernity is all much appreciated upon getting on to the saddle and out on the road. The handlebars, described as ‘albatross’ style, perhaps due to their impressive wingspan, gave a superbly comfortable upright, cruiser bike posture on a frame that felt appreciably lighter than many of its competitors. This made moving off, particularly on hills, far easier. Though there’s a great deal of ‘ticking’ from the rear hub and freewheel, the freedom from rattles on this pared-down, rack and fenderless model is appreciated. The gears themselves offer a very practical spread of ratios, and the Shimano Nexus range far out-performs the somewhat rustic equipment from British brand Sturmey Archer often used on retro bicycles. The great, fat tyres take a surprising 100psi, but I did regret pumping them up to this road-bike level of firmness as it meant the Glider clattered and bounced down the street, rather at odds with its moniker. Losing a few psi gives a far more comfortable ride at a very negligible speed penalty. The riding style isn’t everyone’s cup of tea — you can’t really expect to get anywhere particularly fast, and despite all its curves, plus the high-volume tyres, the frame still had a slightly harsh, utilitarian feel to it which will be fatiguing over longer distances. Now, perhaps the traffic gauntlet of South Croydon where I tested the Glider isn’t exactly this bike’s natural stamping ground, but it did highlight a very significant issue: the brakes, or rather the lack of them. 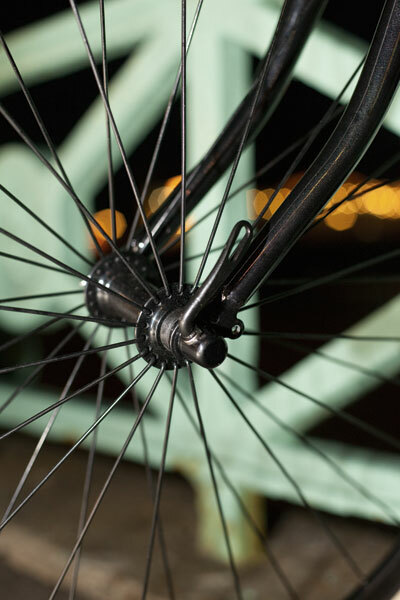 A rear coaster brake is all well and good in theory, though a little practice is needed to get the hang of it, but it’s not powerful enough for abrupt stops — more a supplement to a decent front brake rather than an independent means of bringing the bike up sharp. Unfortunately, the front brake of the Glider appears to be made from cheese or some slightly softer substance. So flexy are the brake arms that despite twiddling with cables, you can fully pull the brake on and still turn the front wheel by pushing the bike. In practice, this means you have to initiate the process of coming to a drifting halt far in advance. I didn’t have to perform an emergency stop, but the thought of having to try is alarming. Of course, you could easily upgrade the brake, but you shouldn’t have to. 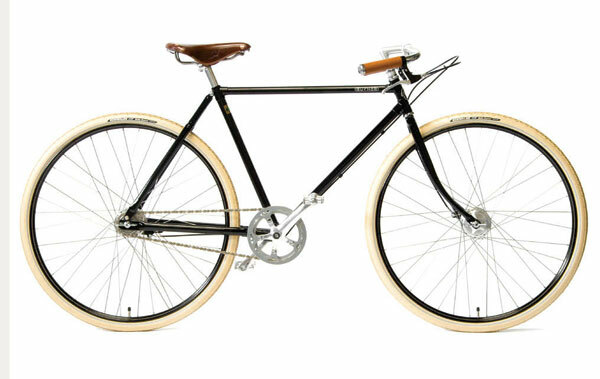 That said, if you look at the overall price for the Glider, at just a touch over £400, it appears superb value next to competitors like Cooper and Pashley. And while it has some way to go to match the performance of the former, it fairly flies along compared to the hulking beasts produced by the latter. 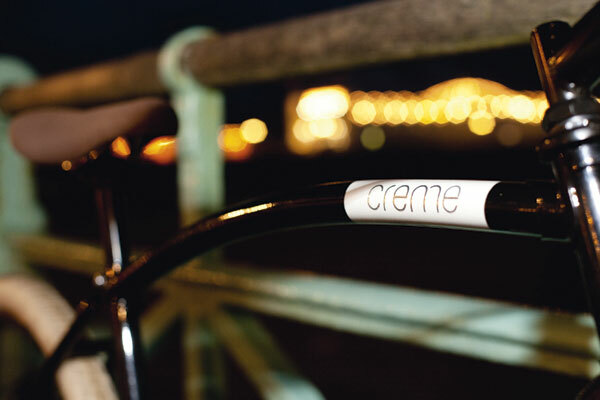 It’s just a shame that, in adding sprinkles of modernity to its Glider, Creme has specced it with a front brake that is a piece of antiquity. An extra £20 on the price tag could probably have allowed for a far more competent bit of equipment, which would have transformed our confidence on this bike. 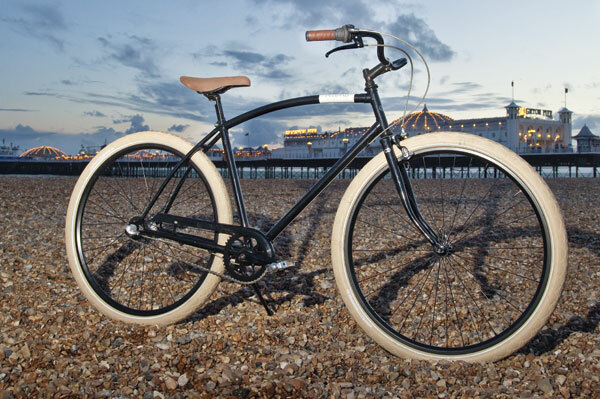 Pashley invented this style of bike and the Guv’nor, with its Brooks finishing kit, doesn’t skimp on quality. However, this is of course reflected in the price tag, particularly as this classic beast of burden gets around on one gear only.